On June 30, 2016, the World Health Organization listed Cannabidiolum in a list of International Nonproprietary Names for Pharmaceutical Substances (INN). CBD oil was first discovered back in 1940, but the first product containing this cannabis extract was only sold openly in the UK within the last year. Having existed solely on the odd dusty shelf of hippie shops, recent media coverage of the potential health benefits of CBD oil have sent the nation into a buying frenzy, and normalised something which had been seen as slightly risqué, or even grubby, for many years. 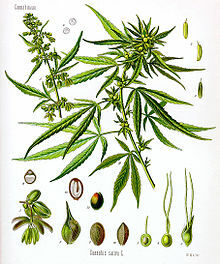 The cannabis plant has over 100 different natural chemicals in it, which are called cannabinoids. THC is the chemical that makes people using weed get high, while CBD is said to relieve pain and be of benefit to lots of health conditions without affecting the brain like THC does. In 1940 it was Dr. Roger Adams from the University of Illinois who first identified the compound, although the findings were not actively expanded on until the mid 1960s. Most of the research focus was concentrated on the effects of THC instead. Since then interest has grown in understanding the potential role of CBD oil in medical treatments, as it is now understood that the CBD compound acts on brain receptors to help control and reduce pain, inflammation and a number of other conditions. Of course we cannot ignore the fact that people around the world have been using cannabis to get high, as well as for medical reasons, for many thousands of years, and even in the 19th century innovators like American William Osler spoke out about the health benefits of cannabis for the sick; but it is only recently that the topic has been so openly discussed in the public arena. 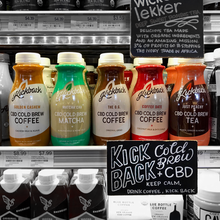 CBD-infused cold brew coffee and tea at a grocery store in Los Angeles, California. In the USA CBD oil is still a grey legal area. It is not officially recognised as a legitimate medicine [i.e. approved by the Food and Drug Admin] except as treatment for two forms of childhood epilepsy, but the rules about its legality are not clear cut in other cases, and may well depend where you are based, and how you acquired the CBD oil. In brief, states where recreational or prescribed cannabis are legal tend to tolerate its use, others may overlook oil with a very low THC level if used to treat certain conditions, but in general using it is brings the risk of prosecution. There are many vendors that sell CBD Oil within the USA such as Sensei CBD. In the UK things are clearer; CBD oil sold as medicine is legal, providing it has no more than a 0.2% level of THC and was made from one of the 60+ industrial, EU approved hemp strains. Products such as water, vape liquid and sprays containing CBD oil are widely available, and some versions are selling well in high street health food stores. Infusions containing CBD in a grocery store in Los Angeles, California. It looks dazzlingly bright, having been eagerly embraced by the better-health seeking UK public And as the US CBD product market has boomed from nothing to $190 million+ in 2017, with a 700% increase expected within the next two years, it seems unlikely the acceptance of the medical benefits of CBD oil will be ignored for too much longer. Questions for students: Should CBD be legalized in our country? Why or why not? Peckham, Craig. CBD OIL: A MIRACLE OR A MENACE: A GENERAL OVERVIEW OF CBD OIL, ITS COMPONENTS, BENEFITS OF USAGE, PRODUCTION, ITS MAKING, GLOBAL LEGALITY AND HISTORY. 2018. The featured image in this article, a close up to hemp seeds which were not seperated from the hemp plant taken on 11 October 2008 by D-Kuru, was released by the author of this image under the following licence: this file is licensed under the Creative Commons Attribution-Share Alike 3.0 Austria license. Next Article September 17, 1683: Who Invented the Microscope? Bradley Walker is a writer / journalist in the Marijuana & Hemp niche the specialises in creating industry relevant content that helps people to smoke and take marijuana in the best possible way. He has recently specialised in CBD and works with Sensei CBD Oil to create great resources for people interested in Cannabidiol.